Diving into the new swimming season, Penrith Swimming Club’s Junior Water Polo teams looked to repeat the outcomes of their first fixture against Carlisle, which was held at Penrith Leisure Centre on 6th May. Penrith travelled to The Pools in Carlisle to face the Carlisle Aquatic Water Polo teams on 2nd September. Fantastic swims this afternoon, Tally, Abby, Aimee & Rebecca. Some great Personal Bests, One speeding Ticket, 4 Gold, 2 Silvers, 4th and a 5th. Thank you to parents for bringing them to Blackpool. TELEVISION celebrity Helen Skelton presented medals to Penrith Swimming Club members at the Carlisle 2017 sprints and medley open meet. THE last two weekends have seen PenrithSwimming Club attend galas in Kendal and Carlisle. PENRITH Swimming Club’s annual presentation evening celebrated the successes of the 2009 club championships, following a good year of competition at home and away. SECOND SPOT: Youngsters from Penrith Swimming Club took second place at Workington after a competitive and exciting evening of team competition. MAKING A SPLASH: Penrith Swimming Club member Laura Huggon with her Cumbria junior and senior women’s 100 metres freestyle championship trophies. THE first round of the 2003 Penrith Swimming Club championships took place on Saturday with a number of highly competitive finals which reflected well on the effort and enthusiasm of members. Penrith Swimming Club president Roland Kirkbride and life member Mrs. Jenny Birtle present the club’s annual prizes. 17th August 1882, Penrith Swimming Club hosted it’s first Swimming Gala. 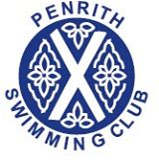 On this day in 1881, Penrith Swimming Club was formed.